What Good Do You Carry Around? The elderly gentlemen in the self-checkout lane appeared to struggle with bagging his groceries. He was methodical and very slow. In response to the subtle, but yet perceptible frustration of the lady next in line and in front of me, he placed the divider bar behind his groceries. The lady took the cue. She efficiently rang up her groceries, bagged them, and squeezed past the man. She was quickly on her way again. We have all been there and can relate to this scene. In my younger years, I would have been discreetly rolling my eyes and cursing my bad luck to pick the slowest line. Life can be one busy obligation after another with places to go, things to do, and people to meet. Interruptions and delays are not welcomed in over-scheduled days. Situations like the grocery store scene always remind me of Proverbs 3:27. The words are a clear command from Scripture. Do not withhold good from those who deserve it, when it is in your power to act. Our importance, our schedules, and our busyness do not exempt us from doing good. We are to judge the need rather than the person. There are no limitations on the good we are to do. The good doesn’t have to be earth-shattering, just a simple act of love for that given moment in time. The man was still finishing up when it was my turn to check out. I approached him with a smile, offered my help, and then wished him a good day as he went on his way. It didn’t take much effort on my part, but it sure felt good to act. We all have the power to act with kindness, a smile, and an extra dose of patience for those around us, wherever we find ourselves. What good do you have to offer to someone in need? More importantly, what good are you holding back? God gives us the opportunities and His goodness to share with others. It is a responsibility, a privilege, a blessing, and sometimes a sacrifice to act. Done in the power of God’s love, joy results! Christmas cards had been mailed. Home-made cookies were delivered to the neighbors. The final grocery shopping trip for holiday meals had been completed. The only task left to do was wrapping Christmas gifts. My husband and I gathered gifts from their hiding places. As we wrapped, we anticipated the surprises to be unwrapped. That’s when I remembered the gift. Where was it? It was not in the pile to be wrapped. We searched high and low. I mentally retraced my steps from the night we bought it for clues to where the gift may have ended up in our house. I pulled stuff out of closets, thinking it had slipped down into the darkest recesses. The gift was not to be found. The gift was not given. The gift was never unwrapped in joyful appreciation. It remains the lost gift. It is not the first gift I have lost. I can reflect back on my life and remember other lost gifts. The gift of time comes to mind. I had an older friend, Barb, who lived out-of-state. We visited once a year in the summer and caught up in person. I tried to make it a habit to call in-between visits. However, life was busy and there was always something else to do. 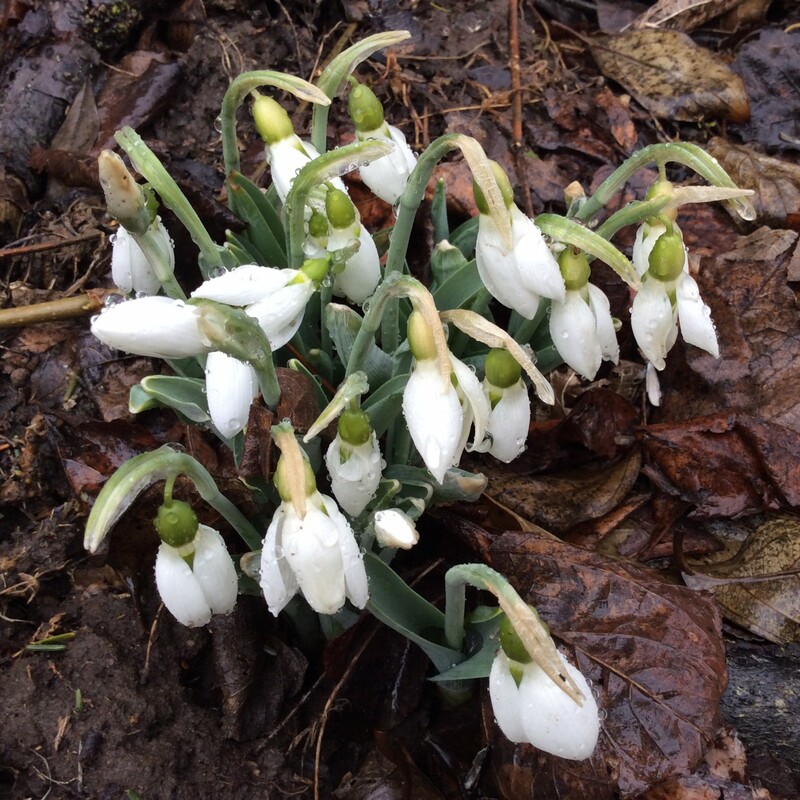 One day, I received the phone call that she had suddenly passed away. I lost the gift of time to chitchat with my dear friend Barb. Take the time to tell loved ones that you love them. Another lost gift is the gift of opportunity. There have been opportunities I turned down at the time. My life was full. Why would I want or need another role or responsibility to squeeze into my life? Those opportunities are now long gone. The only aspect remaining are my regrets for not realizing the golden opportunities given in that season of life. Seize the opportunities that God provides as they may only come around once. The gift of salvation was lost on me for many years until my early thirties. Life was good. Life was orderly. The gift was in plain sight as I owned a Bible and sporadically attended church. I didn’t know I was missing the best gift of all: the gift of salvation through Jesus Christ who gives peace for today and hope for tomorrow. God’s gift of love is wrapped up in Jesus Christ with our names on the tag. Have you taken hold of your gift of salvation? Salvation comes with a guarantee for eternity and promises kept to never disappoint or put us to shame. Unwrap God’s gift of salvation. Enjoy the blessings. Share with others today. The gift of salvation is already yours! Are You Aiming To Be Godly Or Simply Good? Someone described their religion to me as “Love and hard word.” In theory, it is a good philosophy. Love implies kindness to others. Hard work implies productivity. These are honorable principles that can make the world a better place. However, love and hard work can’t save us or the world. If heaven was built on the love and hard work of mankind, it wouldn’t be eternal or perfect. I thank God that His heaven is based on the love of His perfect Son Jesus Christ and the hard work of Jesus’s sacrifice on the cross. Neither our good deeds nor our performance can take the place of faith in Jesus Christ. As I surrender my life to Jesus, I want to work hard and make the most of every opportunity. I strive to genuinely love people. The reason why is more than a philosophy with positive benefits for those around me. Rather, I long to follow the example of my Lord Jesus Christ. Good people work hard and love people. Godly people work hard and love people as the resulting expression of genuine faith. It is not enough to simply love others and do good things. We were created to know God who defines perfect love and embodies everything good. We are all works in progress as the knowledge of Jesus’s love becomes real in our hearts and tangible in our daily lives. So, are you aiming to be godly or simply good? 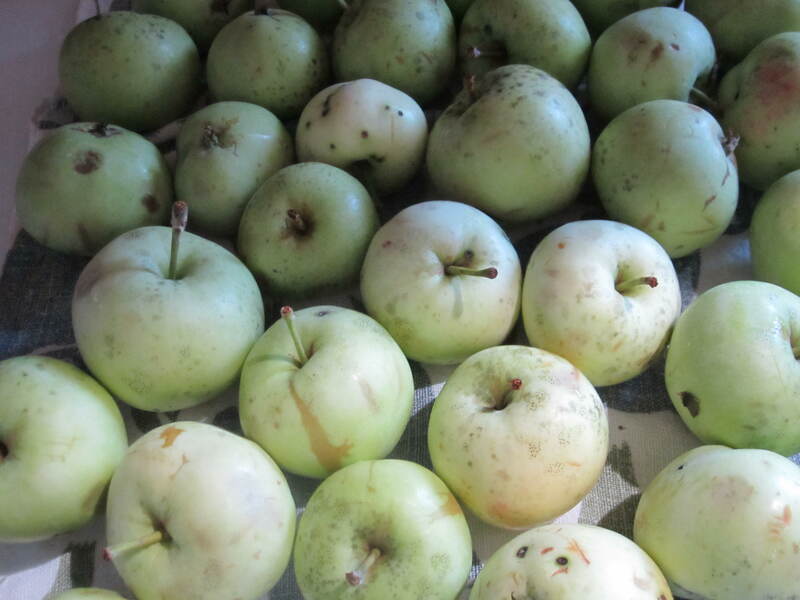 Bruised, misshapen and downright ugly: a good friend offered me a bag of mid-summer Lodi apples. I was skeptical at first. What would I do with these smaller-than-normal apples? What would I want to do with these apples that were characterized by their imperfections? My friend raved about the applesauce made from these summer-ripened apples processed through a food mill. She convinced me that the time and effort were worth it. All I needed to do was quarter the apples and remove the bigger bruises, bug trails and stems. The food mill would do the hard work and separate the peel, seeds and “junk” from the desired smooth applesauce. The result was surprisingly wonderful. The applesauce was tangy with just enough sweetness: a unique flavor all its own. We can go through life and end up with evidence of attack, bent out of shape and feeling small. God still accepts us, even embraces us with our imperfections. God is able to bring sweetness out of the ugliness and into our lives. It may seem a far-fetched possibility, but the result is always based on God’s character, not ours. At times, we need someone to remind us of the vision and reassure us of God’s goodness in our lives. Jesus Christ on the cross speaks volumes about the love that makes it possible. Let’s reach out to God in the ugliness of life, knowing that His presence is the sweetness and His glory is the proof of the results. Taste and see that the LORD is good, blessed is the man who takes refuge in him. As a late bloomer in regards to writing, I am grateful for the encouragement to keep writing. Guest-blogging for a fellow writer is always a high honor, but not the highest compliment. Being asked by a friend, the editor of a quarterly magazine for a local newspaper, to submit an article is confirmation of my abilities. Seeing my name in print is still not the highest compliment. Retirees, needing a write-up on their volunteer activity, asked me to compose it. Their thank you was a gift card. Even being paid for my writing was not the highest compliment. The highest compliment was my card propped up on a bedside table. I did not personally know this person who was a cancer patient in hospice. As part of the ministry Cancer Hope, I send cards with a message of Christ’s love. (Read my previous post on Cancer Hope.) I don’t remember what I wrote, but I know that the words were inspired by the Holy Spirit and prayed over before being mailed. After the woman died, I heard from a family member (in the ministry) that my card was near their loved one in her final days. The highest compliment was that God chose me to write His words of comfort and to share His love. Evidence of the highest compliment was a simple homemade card that will be our special connection for all of eternity in heaven. Hearing God, being a vessel for God and touching lives will always be the highest compliment in my book. Stories are an important part of shared family history. And sometimes the yarn that is spun is, well, actually yarn. My mom crocheted all the time. Bibs for babies and nursing home residents. Place mats, pot holders and oven mitts for everyone she knew. My favorite was the cozy and warm afghans. In the year before she passed away, she agreed to crochet one more project for me: Christmas stockings. This was a sentimental project. 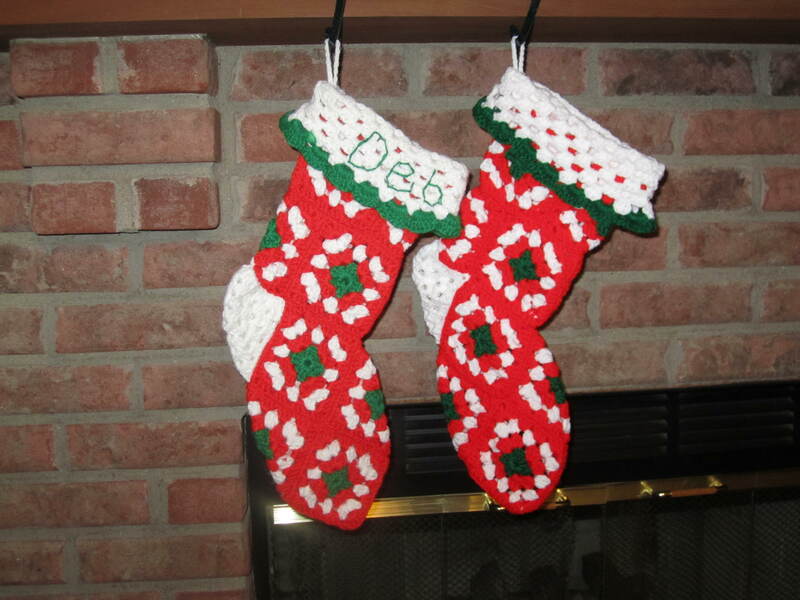 Before kids, my sister had crocheted two Christmas stockings for my husband and me. Now, two kids and one daughter-in-law later, I wanted to complete the collection. I purchased jumbo skeins of yarn, mailed the package to my mom and looked forward to hanging the stockings made with love. But the stockings never arrived. My mom physically could no longer crochet. What had been a fluid motion for her had simply stopped functioning. Plan B was for my mom to teach me how to crochet. Only the words wouldn’t come. My mom tried, but she couldn’t articulate the process for me to mimic. Illness had robbed my mom of her passion. Illness robbed me of my mom. When she passed away, I donated the yarn, but kept all her crochet needles. The Christmas stocking project was forgotten. Until I discovered that my son’s girlfriend crocheted – a lot. I bought yarn once again and the lessons began. This time from the younger generation to the older generation. Stockings in bright Christmas colors of red, green and white began to take shape from my mom’s crochet needle. The yarn that was spun spanned three generations from my mom’s passion to my sister’s gift to my son’s girlfriend’s willingness to share her talents. This Christmas, I will be hanging the stockings with care and celebrating love. For love is the common and the most beautiful thread through the generations in our family and in the family of God. You, O LORD, reign forever; your throne endures from generation to generation.